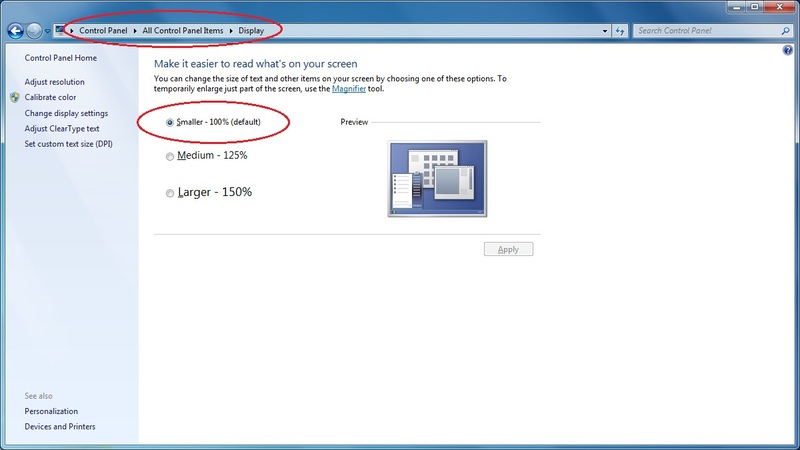 Xviewer buttons may appear to be missing or cut off if the Windows Display setting is changed from the default setting. The default setting is "Small-100%(default)". To correct this problem, please change the text size in the Windows Display setting back to the default setting. The Display setting is located in the Windows Control Panel.